While all of these New Jersey towns make for good summer getaways, finding the right one can be tough. Are you looking to have some wholesome fun, or do you prefer a party town? Are you a daredevil, or is shopping as adventurous as you get? To help, we’ve ranked 12 of Jersey’s major destinations, both big and small, to help you decide where to go down the shore. This seven-mile beach straddling two towns is a quiet family escape where you can lounge alongside dunes, fly a kite, or rent a kayak from Harbor Outfitters and paddle the bay. For more adventure, bike around the island or visit the Wetlands Institute, where you can take an eco-cruise and check out the local wildlife. End your day with a trip to Springer’s Homemade Ice Cream, which has been in Stone Harbor since the 1920s, or head to The Whitebrier for a cocktail. Whether they like it or not -- and apparently they don’t -- Belmar has a reputation for being the Jersey Shore’s party destination. 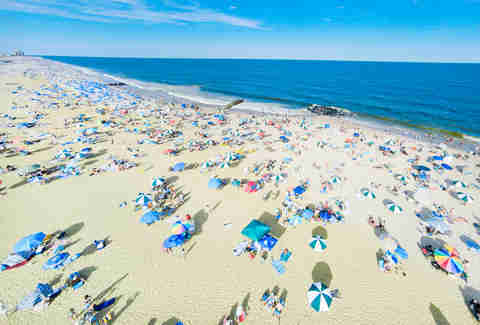 Despite trying to re-brand as “the friendliest and cleanest beach in New Jersey,” the town just can’t seem to shake the rep. It doesn’t help that its marina is home to New Jersey’s largest party boat fleet. Or that the south end is perfect for bar hopping with hotspots like D’Jais Bar & Grill and Beach Haus Brewery, a microbrewery on Main Street with a taproom. You do you, Belmar. 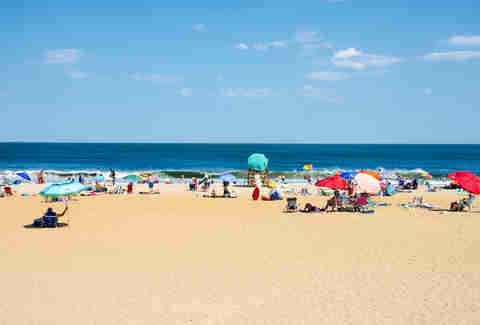 If you’d rather be shopping than beaching, Long Branch is the spot for you. The Pier Village shopping plaza includes the high-end sportswear store Nirvana, the trendy boutique Molly & Zoey, and an arcade featuring virtual reality games. Yes, even the boardwalk is ritzy here. If you still have any money to spend, splurge at the French brasserie Avenue before capping things off with a decadent dessert at Coney Waffle. 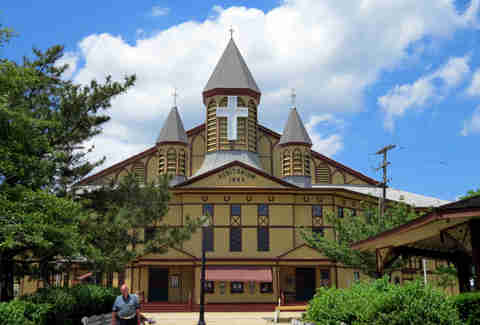 Founded in 1869 by a group of Methodist ministers, Ocean Grove is unlike any other place down the shore. 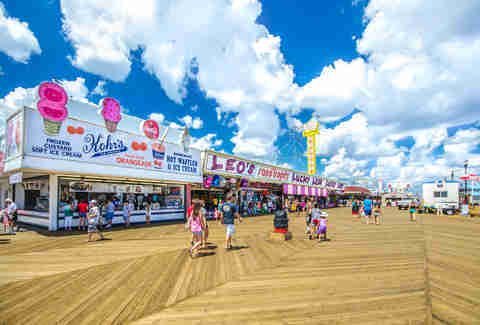 While most seaside towns are focused on their boardwalk, this town prides itself on being a “relief from the crowds, commercialism, and noise of other New Jersey beaches.” The main attraction here is Tent City, an intimate community campground that houses families looking to relax and attend worship services. If that’s not your thing, you can catch a show at the Great Auditorium, a concert venue with acoustics that have been compared to Carnegie Hall. Grab a bite at Dunes Boardwalk Cafe, a cafeteria-style eatery serving pizza, burgers, and lobster rolls. To learn more about the town -- because you know you want to -- head to the Historical Society of Ocean Grove, a museum that celebrates the town’s unique flavor. 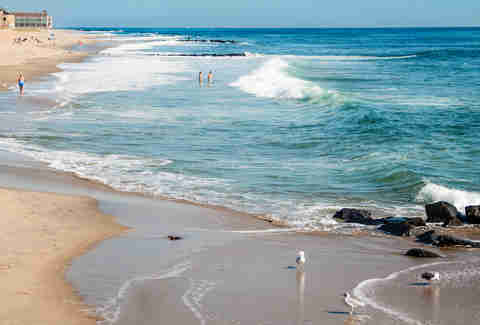 Thanks to MTV, when you think of the Jersey Shore you probably think of Seaside Heights. But things have changed in the years since the Situation, well, caused a situation. Following Hurricane Sandy, the boardwalk was rebuilt and the town started pushing for more family-friendly fun like movie nights and concerts. 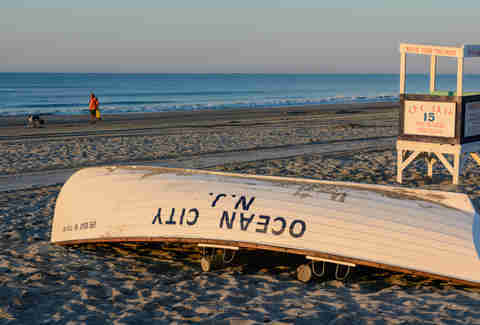 Last year, the town also amended its beach rules to restrict smoking and giant coolers in hopes of minimizing antics. The roller coaster at Casino Pier, which ended up in the water, got an upgrade in Hydrus, a neon green and blue coaster with a 72-foot vertical drop. Even Karma, the nightclub made famous by the show, is trying to class things up a bit -- by literally describing itself as “classy” on its website -- gotta start somewhere! The boardwalk is still one of the busiest at the Shore, though, so if you’re looking to get away from it all, head south to Island State Beach Park -- a 10-mile stretch of unmarred and undeveloped beach. It’s as far from Jersey Shore as you’ll get in this town. Point Pleasant is for families. Jenkinson’s Boardwalk, which stretches a mile along the shore, offers some good old-fashioned fun by way of an aquarium, an arcade, amusement park, three mini-golf courses, and a 4,000-square-foot fun house. For a different kind of thrill, Point Pleasant is also known for antiquing, a favorite being Point Pavilion Antique Centre, which houses some 50 sellers of furniture, jewelry, toys, and old records. For an after-beach treat, line up (and there will definitely be a line) at Hoffman’s Ice Cream, an institution that’s been serving up unusual flavors since 1976. Try the signature Jersey Monkey: banana ice cream with peanut butter swirls and chocolate chips. 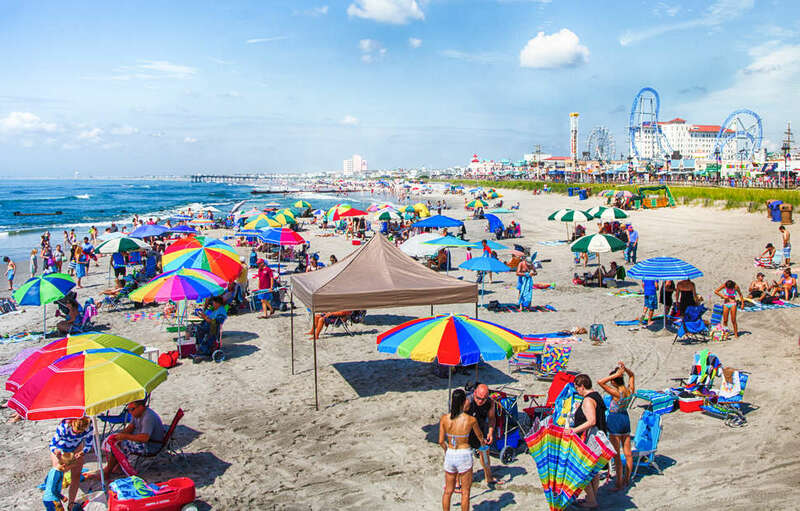 Voted America’s #1 beach by Coastal Living in 2016, OC is the epitome of a family destination -- “New Jersey’s Disney World,” in the words of the city’s mayor, Jay Gillian. 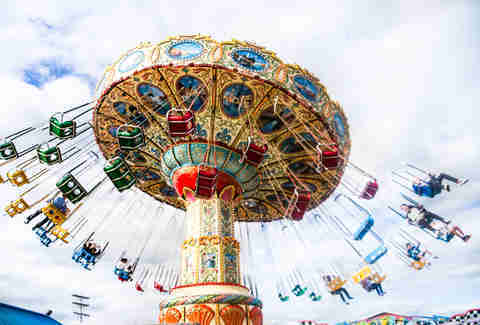 At Playland’s Castaway Cove, you can ride the triple-launch GaleForce roller coaster and the Giant Wheel, a 90-foot-high ferris wheel with beautiful Atlantic City skyline views. Since this is a dry town, getting high on saltwater taffy and fudge from Shriver’s -- the oldest business on the boardwalk, turning 120 this year -- is as crazy as things will get. At least you’ll actually remember all the fun you had in Ocean City. 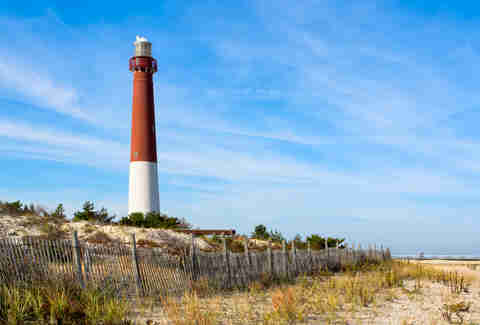 The surfer mecca known as “LBI” to the locals boasts the original Ron Jon Surf Shop. The break at Holyoke Avenue in Beach Haven is the most popular, but head to the southern tip of LBI and you’ll have more space to catch a few waves. If you’d rather hang out then hang ten, you have miles of sandy, boardwalk-free beachfront to choose from. Stop at Neptune Market, better known as “Noonies,” for a cheesesteak or their “world famous” Nooney burger, an 8-ounce Angus patty with lettuce, tomato, onion, hot pepper relish, and mayo on a kaiser roll. Once a Gilded Age resort spot for wealthy New Yorkers, Spring Lake is still a vacation destination for urbanites who want a glimpse at how the other half lives. Just 60 miles from downtown NYC and accessible by train, million-dollar Victorian homes and manicured lawns make the place feel much, much farther away. 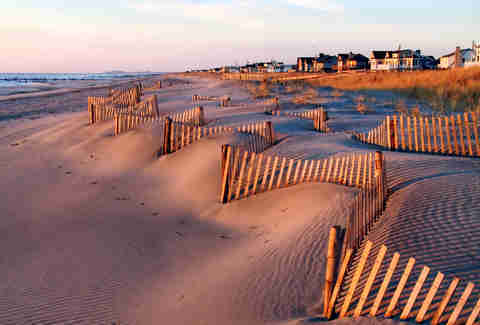 The beach features the longest non-commercial boardwalk in the state, two miles of pristine sand, and peaceful vibes. For longer trips, book a room at the historic Breakers, the only beachside hotel in town. Wildwood is home to doo wop -- both the music and the architecture style -- and the Doo Wop Preservation League won’t let you forget with their museum and historic tours. Look around at the retro architecture and it’s clear the ’50s and ’60s are alive in this seaside town, where the beach is free and wearing a poodle skirt to the local ice cream shop feels right. For a look at modern architecture, check out artBOX, an artist colony composed of 11 brightly painted shipping containers. 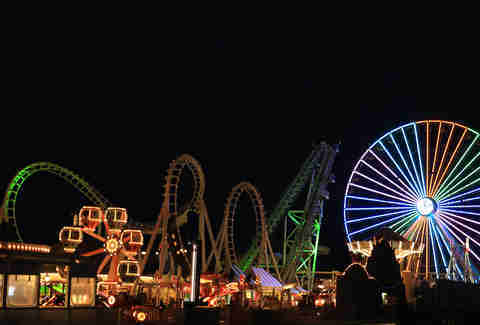 The three amusement parks along the Wildwood boardwalk -- Mariner’s Pier, Adventure Pier, and Surfside Pier -- together boast more than 100 rides and attractions for every stripe of daredevil. The bravest will want to check out the recently refurbished Great Nor’Easter coaster, featuring a 95-foot drop. The town Bruce Springsteen memorialized has been revitalized to attract a younger, hipper, more diverse crowd. Thanks to the pinball nostalgia of the Silverball Museum Arcade, the summer stage lineup at the Stone Pony, and the Instagram-worthy murals on the Sunset Pavilion, it seems to be working. (It’s been called “Brooklyn on the beach,” FYI.) 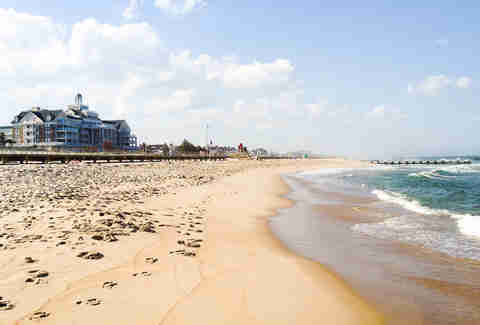 Asbury’s marvelously underrated beach has also become one of the most LGBTQ-friendly along the shore and perfect for people-watching. Along the lively boardwalk, duck into Asbury Festhalle & Biergarten for a beer -- there are more than 50 on tap -- or have a bite of modern Mexican at Barrio Costero, named one of the best new restaurants of 2017 by New Jersey Monthly. After dark, check out the views of the Atlantic with a cocktail in hand at Watermark, head to the drive-in-style rooftop movie theater at The Asbury, or just dance into the wee hours at the Paradise nightclub in the iconic Empress Hotel. You’ll feel like you’ve entered a time warp when you reach the “crown jewel” of the Jersey Shore. Horse-drawn carriages and trolleys fill the streets of this stately go-to vacation spot in Jersey. Sip a cocktail at The Brown Room, Cape May's first legal, post-Prohibition cocktail bar, before taking a historic ghost tour. Hit the brick-paved streets to check out the open-air Washington Street Mall, filled with one-of-a-kind gifts and sweet treats by Louisa’s Chocolate Bar, which has been serving farm-to-table dishes since 1980. Or just relax on one of Cape May’s gorgeous beaches, like the Cove, a laid-back spot where you might even spy a dolphin taking a leap.